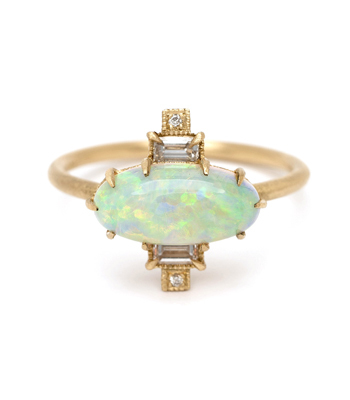 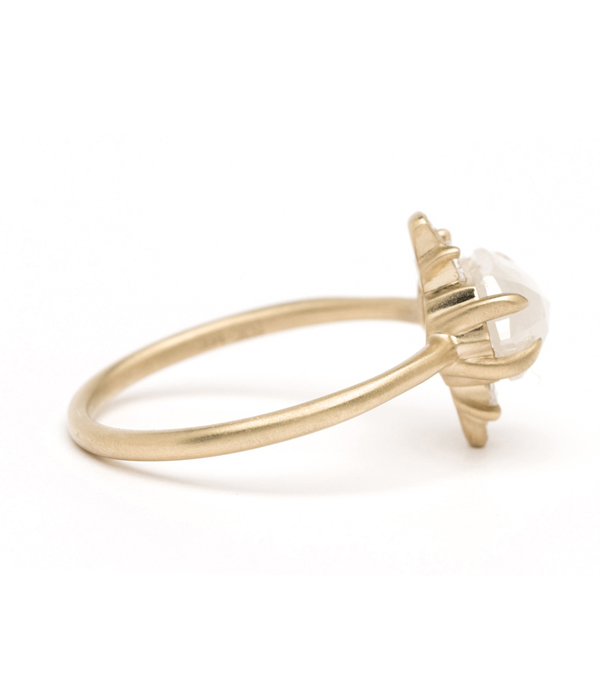 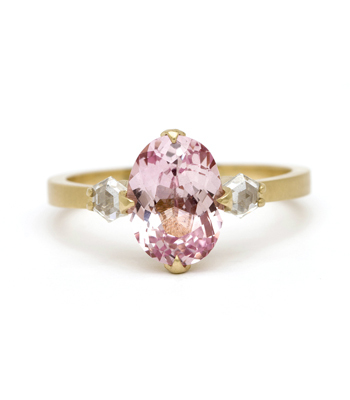 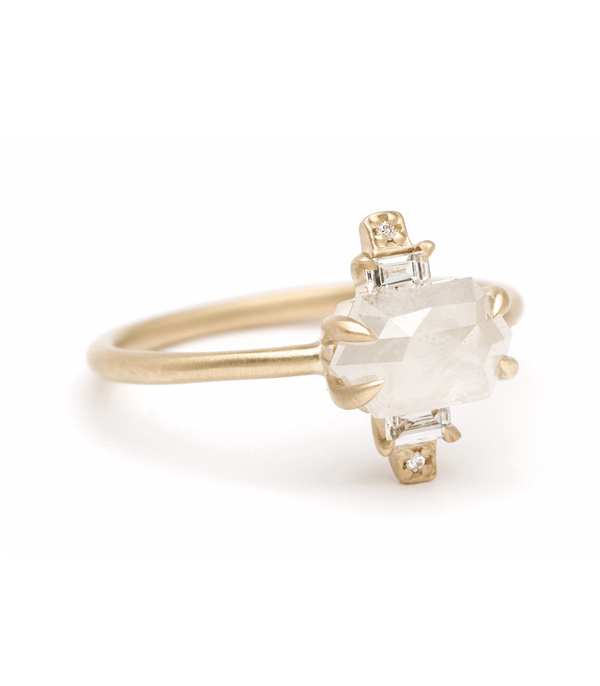 Original, chic, daring and decidedly, one of the coolest rings around! 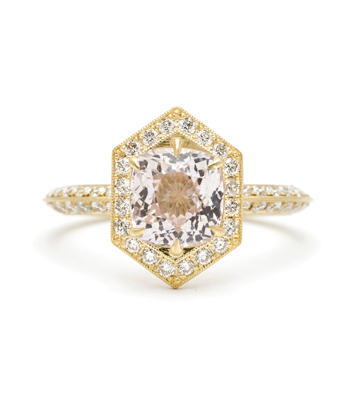 This one-of-a-kind engagement ring is crafted in matte 14K yellow gold and features a dazzling hexagonal rose cut salt and pepper diamond (1.27ct) at its center, bordered by symmetric diamond baguettes and two small brilliant cuts (0.13ctw). 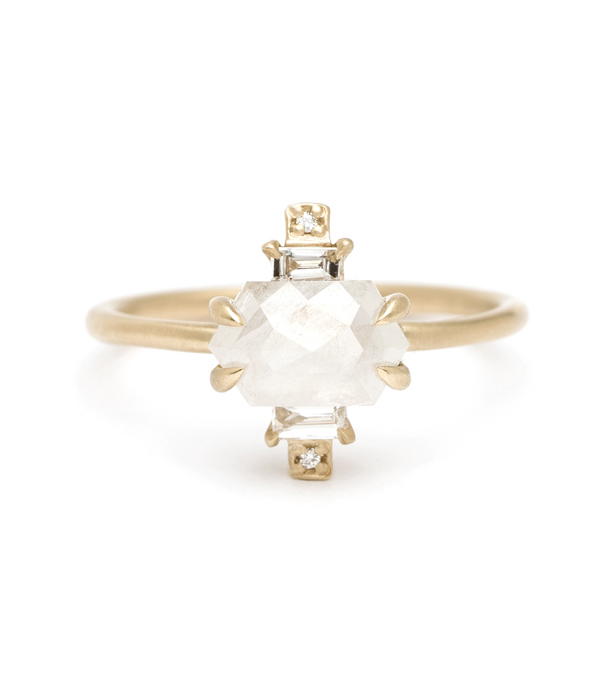 A hint of deco styling is reflected in the stone's crisp step cuts and geometric design. 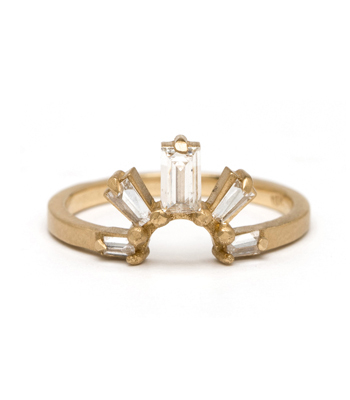 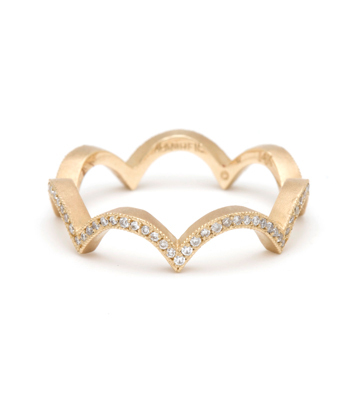 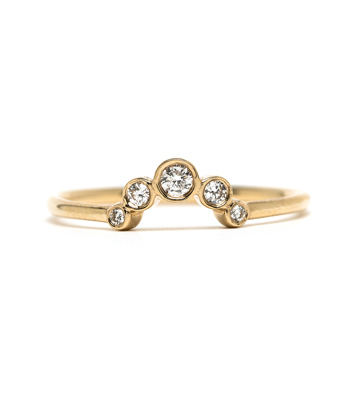 This rings speaks our kind of geometry!